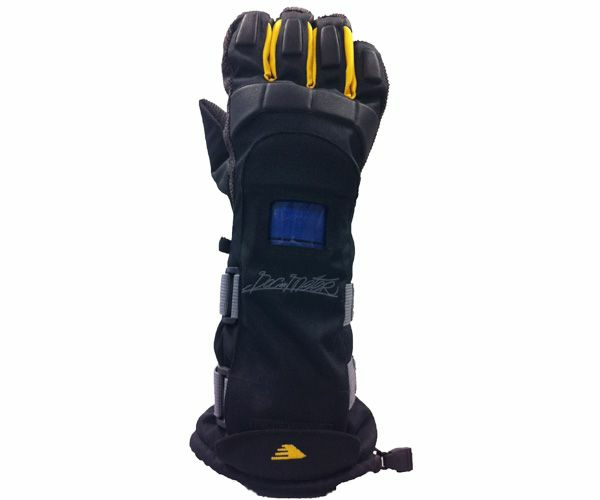 Snowboard gloves with 1 Flexmeter protection black yellow optimum comfort with maximum protection. The Flexmeter protection with 1 flexible Hytrel protector on the back of the hand, provides optimum mobility during snowboarding. 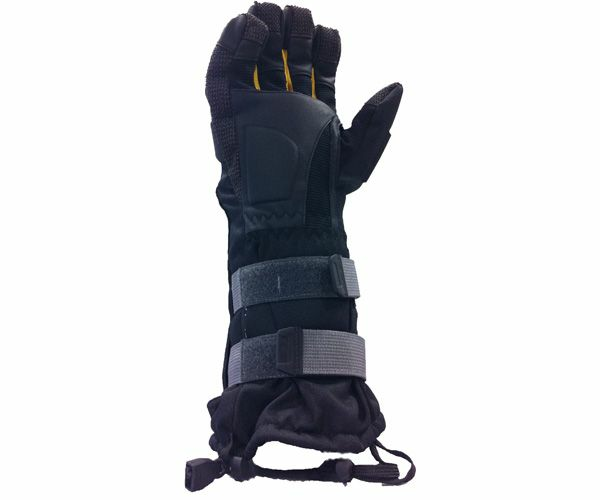 With 67% less chance of a hand / wrist fracture during a fall feel safe. Mobility and protection of the hand and wrist. DuPont Hytrel thermoplastic protector prevents hyperextension and to absorb compressive forces. A double cheque and a determining factor for when your hand size falls on the borderline of f.e. 21 cm or 16 cm, than measure the length of your middle finger from the hand to the top of the middle finger. Mail the result of the measured hand size and in case mesaured lenght of middle finger or mention this onto the order placed.